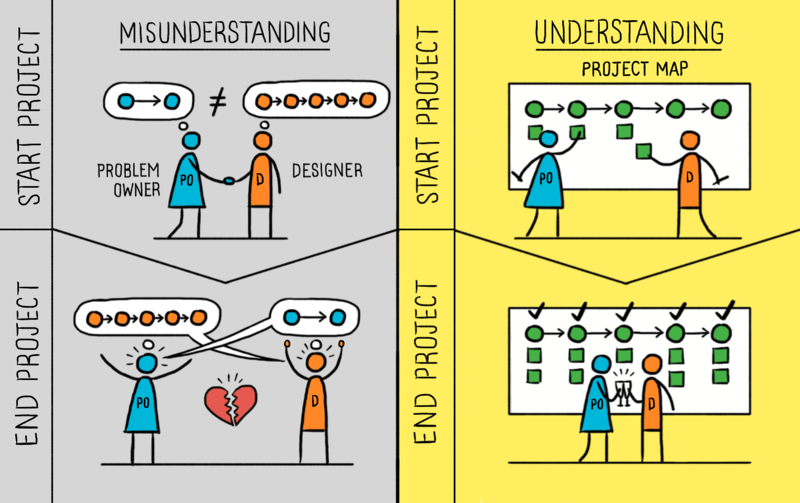 Whether you are a problem owner or a designer, we share a flavor of this story: after months of working on a complex, multi-part project, and finally delivering the requested materials, you (the designer) learned that the other party changed their mind at some point during the journey. Whatever you delivered a) will never get implemented, b) will likely sit unused somewhere, and consequently c) no further work will be done on the initially budgeted second and third parts. PROBLEM OWNER: Needs and problems have not been clearly defined, but goals for a project have been established anyway. DESIGNER: Does not ask any questions about what their role in the project will be or seek clarity on the initial premise of the project. 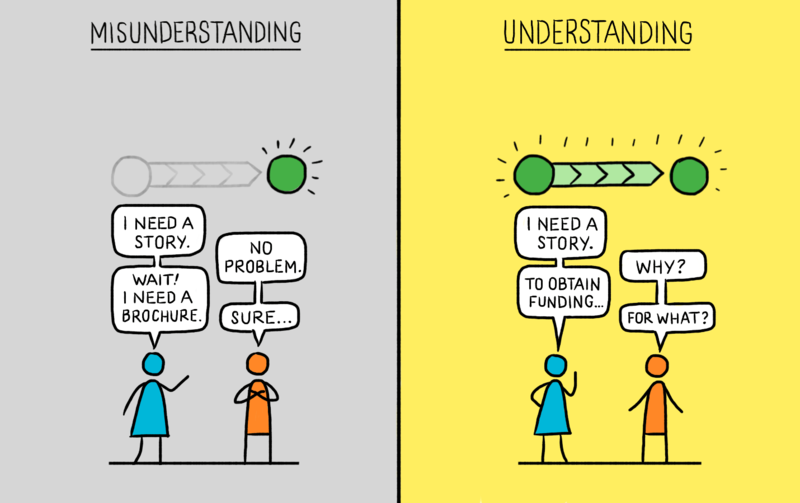 Suggestion: Before commissioning a project as a problem owner, make sure there is a real need. If you are already involved as a designer, ask as many questions as you need to get clarity! PROBLEM OWNER: Each team member has a different idea of what needs to be done, but no one shares their ideas and prefers to go along with what the majority seems to agree on. DESIGNER: Uses jargon or vague terms that are unfamiliar to the problem owner to explain how they can help and what they can do to help. Suggestion: Encourage open dialogue and communication among all members of a team, including decision-makers and external parties (e.g. designers!). PROBLEM OWNER: Lacks long-term vision and has little patience to understand the many moving parts inside complex projects. 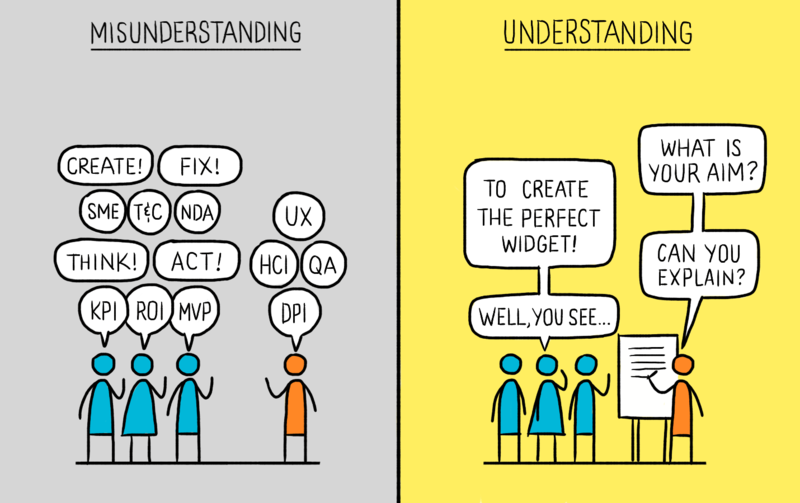 DESIGNER: Does not help the team to see the bigger picture and involvement of their work along the design process. Suggestion: Delineate clear short- and long-term expectations that everyone agrees to. PROBLEM OWNER: Decision-makers are not deeply involved or adequately informed in all key steps of the process. DESIGNER: Moves forward in the process without the client’s input or full approval, or seeks decisions from the wrong people. Suggestion: Plan for busy moments during the project, and designate a second person on the problem owner’s side that could provide input and make decisions. PROBLEM OWNER: Invites creative thinking and innovative ideas but isn’t really interested in big change. They already have something specific in mind and assume it’ll just happen. 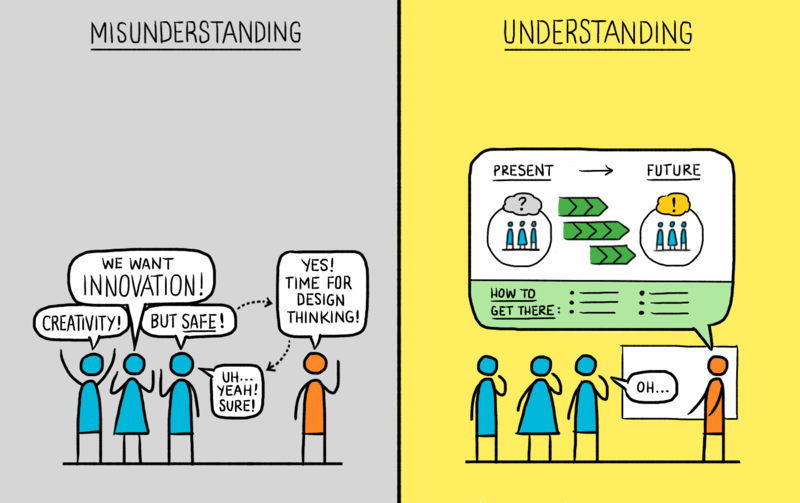 DESIGNER: Presents creative ideas that can transform an organization but does not provide a clear picture of what those ideas will actually look like and how they’ll work. Suggestion: Change takes time. Clearly explain what it would involve, but if the other party is not ready for it, maybe they are not the right fit for you. 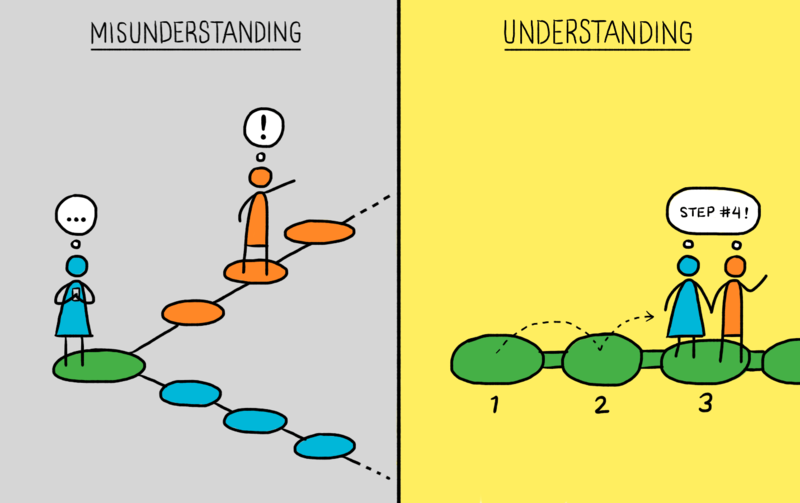 While we cannot control what problem owners do, at Sense, we promote a culture of asking questions, eliminating assumptions, and even re-stating the “obvious” for everyone’s benefit from the very first encounter. 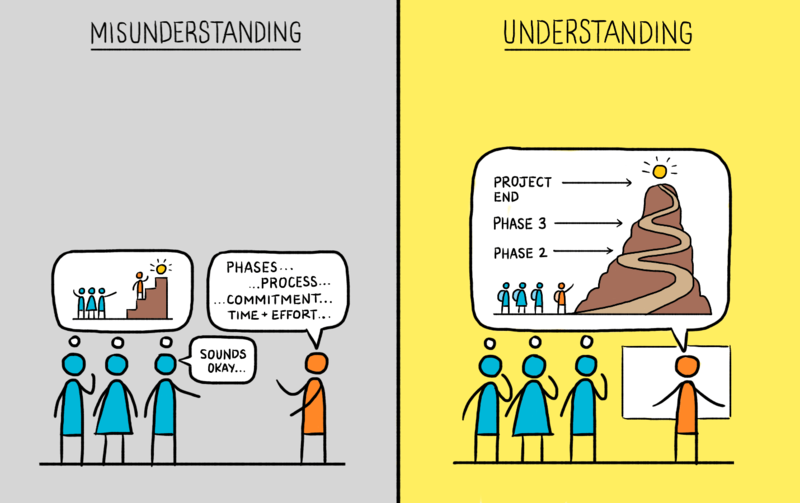 Understanding, transparency and clear communication make for truly successful projects. New Book on Info Design + Research!